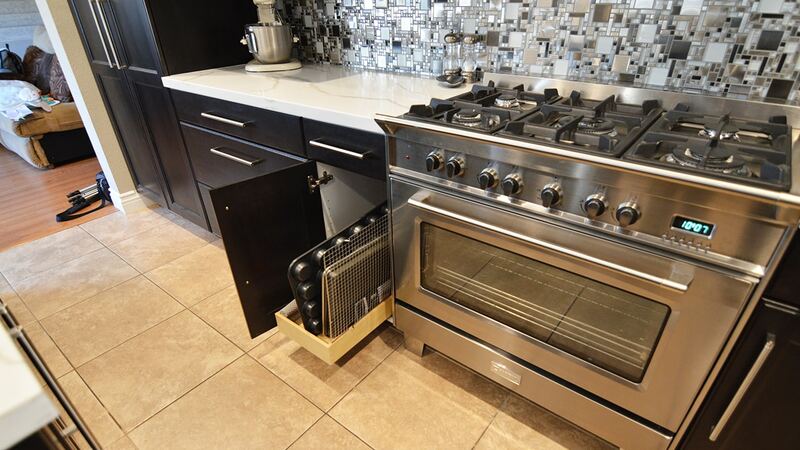 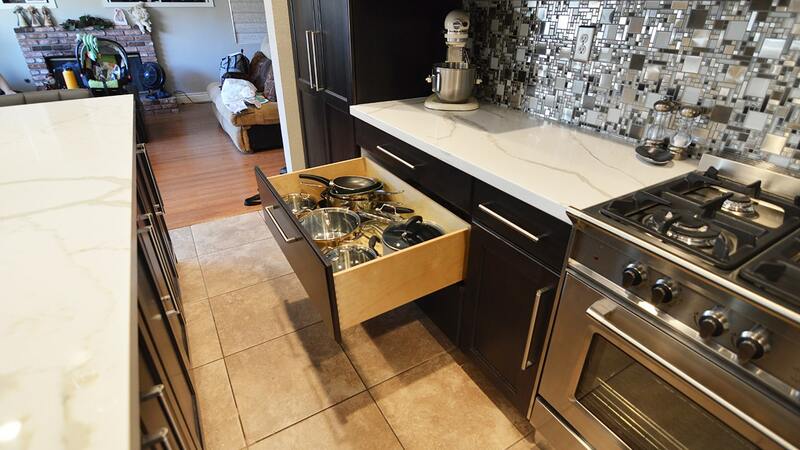 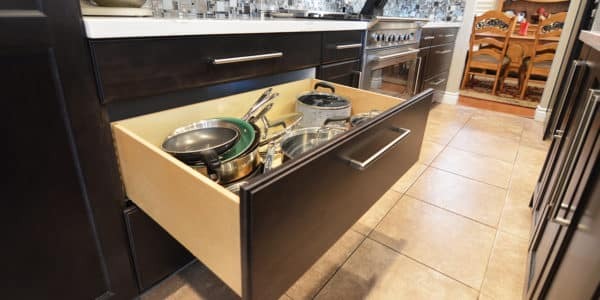 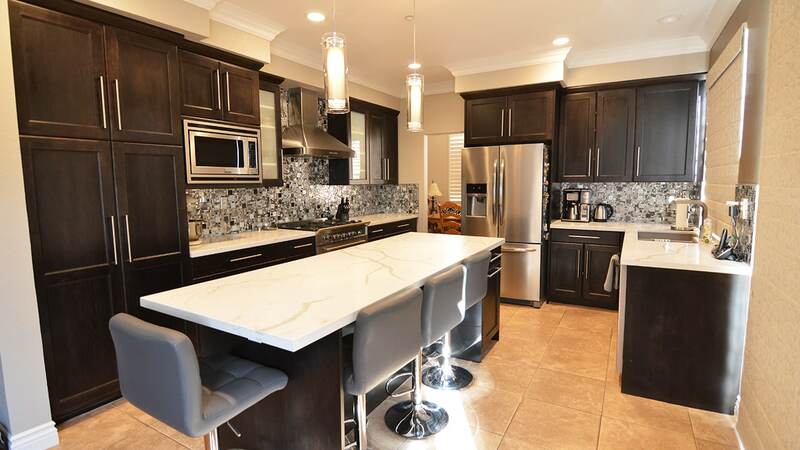 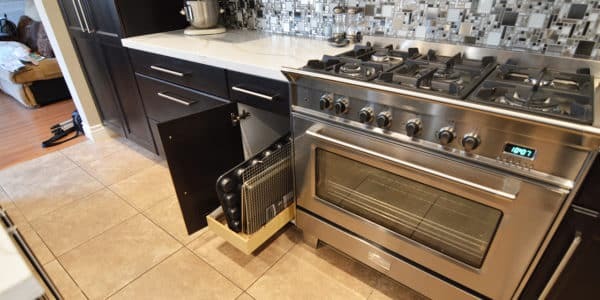 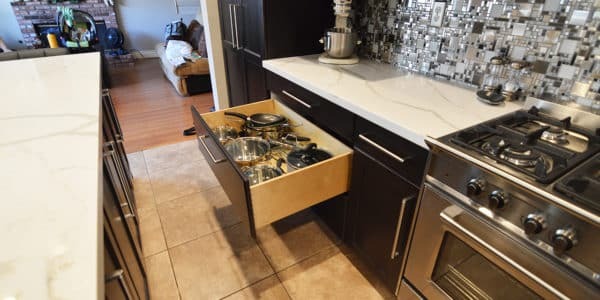 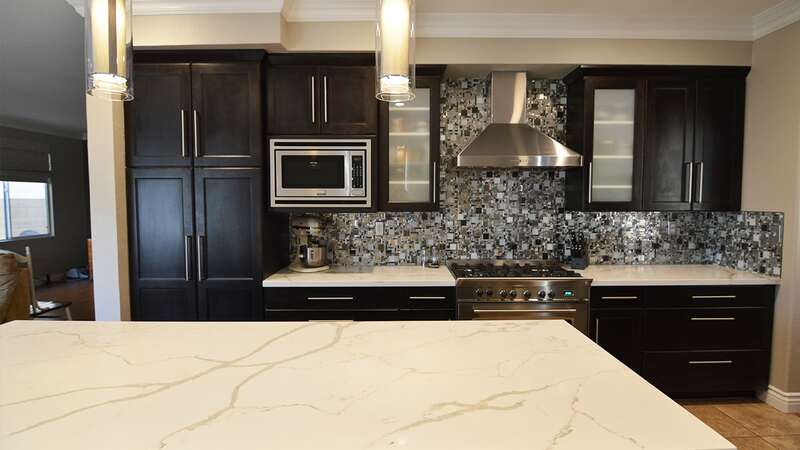 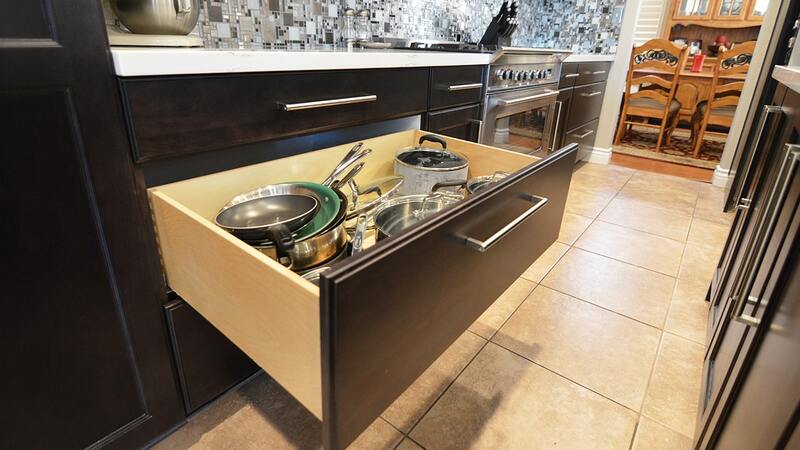 Project Features: Metal and glass mosaic, quartz sink, deep drawers for pots and pans, a pull our for cookie sheets, and added lightening above island. 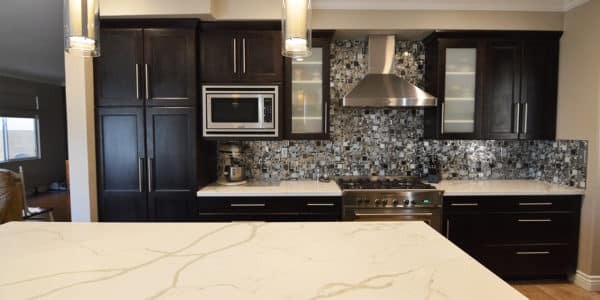 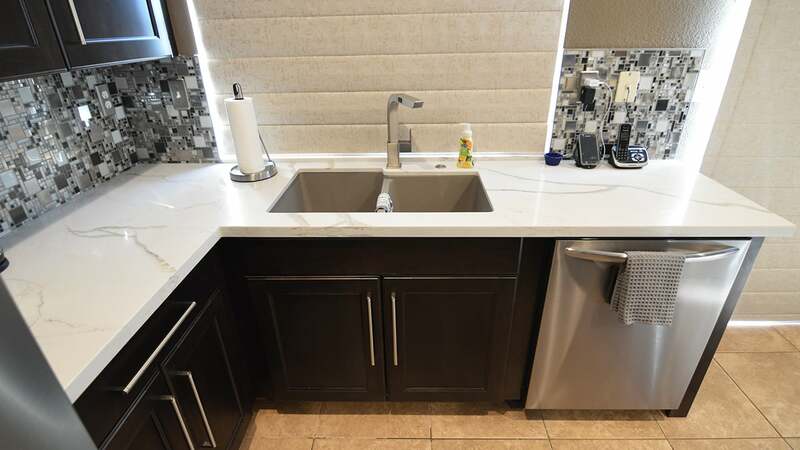 This contemporary, eclectic kitchen remodel includes, a Calacutta Quartz for the countertops from Daltile, the edge detail is square on all countertops and the sink is a slate quartz sink. 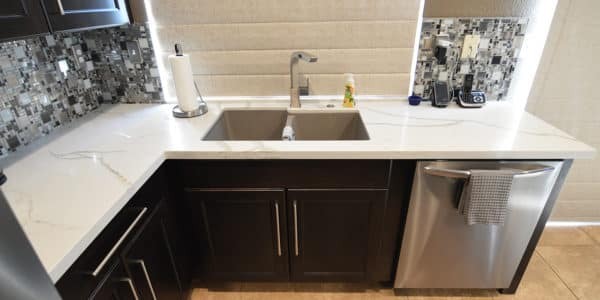 The backsplash is from Daltile as well, it is called ickel Blend Fortress Mosaic, the trim is a stainless schluter and the grout used was a pro fusion grout in the color Moonshadow. 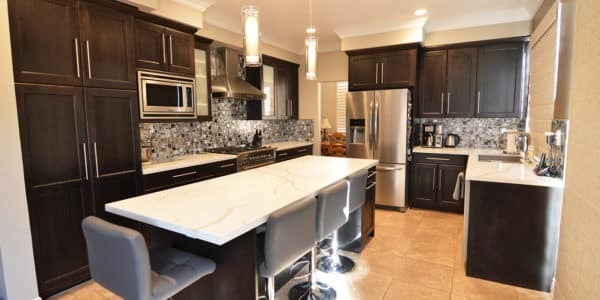 The owner decided to keep their existing floor it gives the kitchen a warm traditional feel.